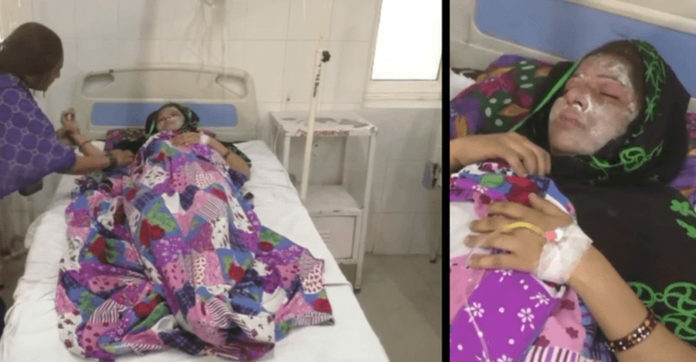 A woman was attacked with acid in India by her husband while she was sleeping after she gave birth to a second daughter instead of the son her husband wanted. Farah Biwi, 25, married her husband Siraj eight years ago. After their first child turned out to be a daughter, bother her husband and her husband’s family began to pressure her. Her in-laws would often mistreat her and act as though it was her fault for failing to conceive a son. In the past year, their marriage had become strained as Siraj demanded a dowry from her, which she could not afford to give. When her second child turned out to be another daughter, things came to a head. Farah’s in-laws began to beat her, and Siraj became even angrier with her than before. Her in-laws also began to pressure Siraj to obtain a monetary dowry from her. Although she often thought of leaving him, Farah had stayed for fear that she would not be able to provide for her daughters. 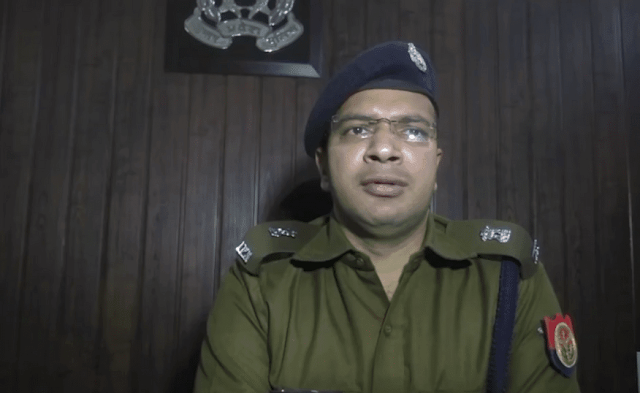 She didn’t think that Siraj would have taken it this far, but in a cowardly manner, he poured acid over her while she was sleeping. 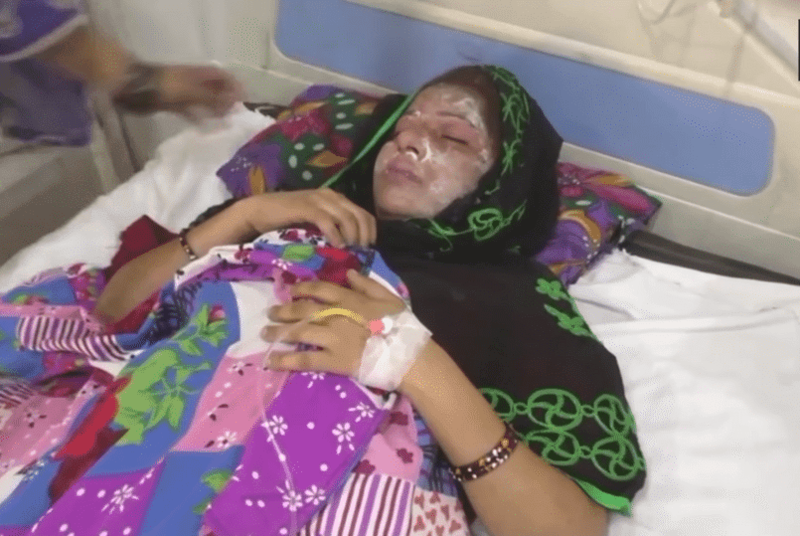 Farah was rushed to the hospital, where she is recovering from burns on her face, abdomen, and hands. Meanwhile, Siraj is now on the run and police are searching for him high and low. They hope to arrest him for his crimes.